Invisalign is a popular orthodontic treatment option for adults. It’s discreet, convenient, and more comfortable than traditional braces which have sharp metal parts. Can your kids enjoy the same benefits from Invisalign? The first thing you need to consider is what your child’s orthodontic needs are. Invisalign isn’t right for every case. Some kids need early treatment with braces designed to correct unique problems. But for most teens and pre-teens with mild orthodontic issues, Invisalign Teen is the perfect solution. Invisalign Teen offers the same benefits for youths as the traditional system does. The difference between this and the original system is that you’ll play a more active role in overseeing your child’s treatment. Is Invisalign Right for Your Child? The key to making a success of Invisalign treatment is wearing the aligner trays as directed. If your son or daughter is responsible enough to keep the trays in their mouth at all times save for sports, meals, and tooth brushing, then they may be a good candidate for the procedure. Find out whether Invisalign can make a positive difference in your child’s smile by visiting the team here at Dental Care at Kennestone. 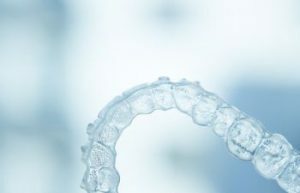 A quick orthodontic evaluation in Marietta is all it takes to discover whether or not your child should try Invisalign. Call us today to schedule your appointment.